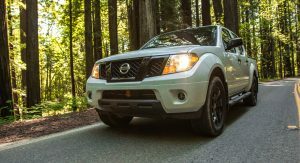 Nissan has been readying a new version of its popular midsize pickup truck for quite some time. It is reported that the new Frontier will benefit from a significant visual overhaul and also come standard with a new engine. 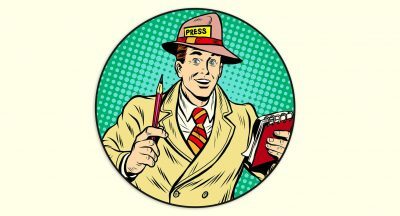 On a visual front, an unnamed source with knowledge on the matter asserts that the new Frontier will look modern while still maintaining typical pickup looks. 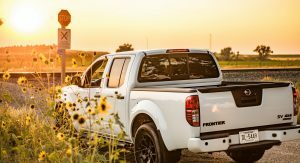 In terms of powertrains, Nissan will reportedly ditch the 4.0-liter V6 of the outgoing Frontier and replace it with a new V6, likely smaller in displacement, that produces approximately 300 hp. 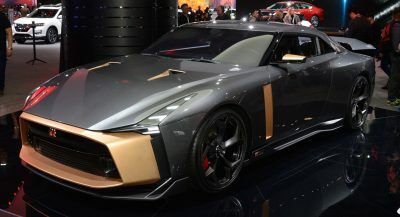 Nissan will also replace the current model’s aging five-speed automatic and replace it with a newer seven-speed automatic. Interestingly, the new Nissan Frontier won’t be underpinned by the same platform as the Navara and Mercedes-Benz X-Class. Instead, it will use an updated version of the F-Alpha truck platform used by the current model. 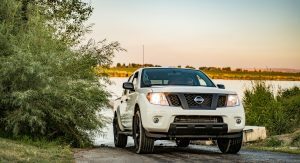 Nissan reportedly opted not to use the Navara platform in a bid to ensure the Frontier remains affordable. This means it will use old school leaf springs at the rear rather than the coil springs of the Navara. The existing Frontier has been on the market since 2004 but continues to sell well. In fact, Nissan sold 79,646 units across the United States last year. That’s almost 30,000 examples more than the full-size Titan pickup. Reports cite a potential reveal date for the new Nissan Frontier as early as September 2020.
if its new, looks good and is price right it will sell so really I guess that is why a design from way back in the late 90s is still selling. They say its on the same platform so that it can be priced right. In one breath. In another breath, Nissan says it wants to increase profitability by raising prices and reducing incentives, so which is it? Also, hopefully, it won’t grow in size much (or at all). If the platform is staying the same, why another 18 months before the on-sale date? This thing has been selling with no updates for years. The price of the full sized trucks is so out of control that people would jump on a smaller, much cheaper truck. Someone is going to eventually do it and crush the full sized market. Nissan is taking a half swing at it. My bets are that it will not be a updated F-A platform, but more closely related to the Titian. Next PostNext New 2019 Audi Q3 Starts From $38,900 In Canada, Will U.S. Price Be Similar?